One of my pet peeves in the world of Daoism is the various fantastical versions of Daode Jing are out there. Like many students of the Way I have collected various translations and versions of Laozi’s work. Of course most “translations” are not actual translations from classical Chinese but are just the authors own version of idea of what he or she thinks Laozi is saying or, even worse, what the author wants to say. In this case, the lines have very little to do with the original text but are some kind of New Age or psychological ideas that the author wants to write about. 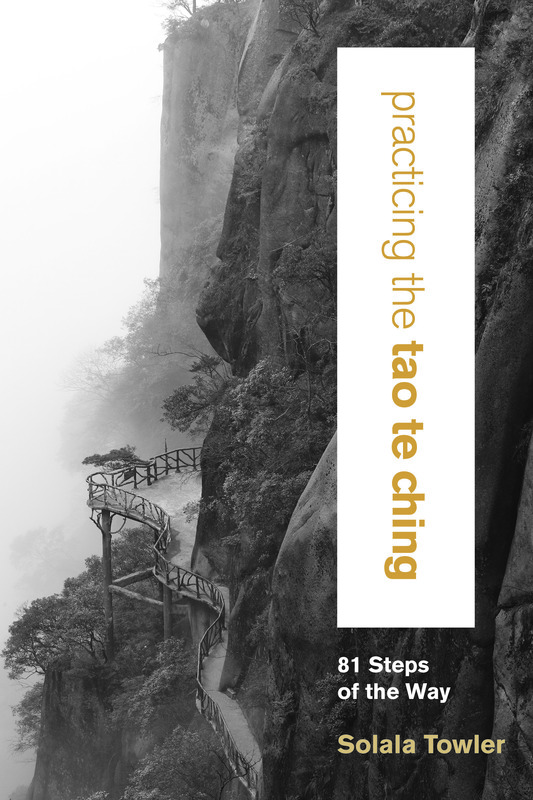 I think the idea is that if the author puts Tao Te Ching on the cover people will be fooled into buying the book, thinking they are getting the actual Tao Te Ching! As I said, it is a pet peeve of mine and maybe I am being too literal but it seems to me that there is so much useful wisdom in Laozi’s book that we really don’t need modern people improving on it by putting it in New Age or some fanciful type of lingo. Of course we are living in the 21st century and no is really sure who Laozi was or if he was and Tao Te Ching can be translated in different ways. But in my opinion, it really takes someone who is familiar with Daoist philosophy and practice to really understand it. 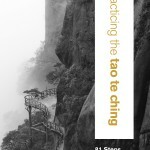 My new book, Practicing the Tao Te Ching is my “version” or my “interpretation” of the book. I am not translating it from Chinese but I have been studying these ideas and practices long enough now (25 years) that I am able to present the text in a more traditional “Daoist” sense than many modern translations. Not only that but there are actually many practices sprinkled throughout the text that are very clear if you know how to read it. I also have used the Ho Shang Gong commentary, thought by many to be the first commentary on Laozi’s text and one that sees it in more of an internal or nei dan way rather than purely a philosophical way. 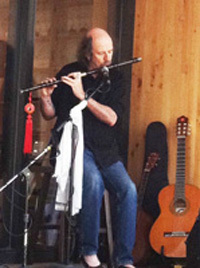 In cases where there is no practice directly taught in a chapter I have drawn from other traditional Daoist teachings. I won’t be out til spring 2016 (through Sounds True) but my hope is that it will be a very useful book for those wanting to learn Daoist practices rather than just read the book as a philosophical text. I have tried to keep to Laozi’s words without trying to improve on them. As if I could improve this wonderful timeless teaching! Yes I am a Westerner, as many of my readers are, but the teachings and practices of Daoism cross over any cultural boundaries. After all, we all have the same qi system, the same jing, qi and shen system, the same questions about our place in the great multiverse (what the Chinese call Dao) that people everywhere wrestle with or question for hundreds if not thousands of years. The religion of Daoism has developed along a much more cultural way than the original Classic Daoism such as Laozi and Zhuangzi and few Westerners are prepared to follow it. But anyone can study Laozi and Zhuangzi and get so much wisdom from it to apply any aspect of our lives. The great Dao is same Dao in the West as in the East. But by keeping a little more closer to the original texts rather than go off on any kind of tangent people feel like labeling as Tao Te Ching I think we will benefit so much more. Blows through my bamboo stove. Toyotomi Hideyoshi had risen from very humble ranks through a combination of guile, cunning, and great courage to become ruler of all of Japan. As a former low-level samurai he could be very fierce. Having been raised on the battlefields of Japan, Hideyoshi was a man of great strength, both of body as well as spirit. He always held himself erect and proud, like the great samurai warrior he was. But this fierce warrior was also a great lover of tea and tea ceremony. Like many samurai of his day, Hideyoshi felt the austere and formal tea ceremony gave him the space and time to not only relax and let down the many stresses of being a ruler but also gave him a window into another way of being, of what the monks called Zen Mind. In the teahouse he could become a humble tea drinker, at one with the ritual and with the eternal moment. While he was not the actual emperor of Japan, he was the ruling regent, and had great power. He had once served tea himself to the emperor himself in a small teahouse inside the Imperial Palace. Once he had served tea to 803 people at a great tea ceremony held in Kyoto in 1587. He even had a tea pavilion built of gold that he could take with him when he traveled. But Hideyoshi, at least partly, was still a humble man who had not forgotten his simple origins and spent a great deal of his time meditating in a small hut when he was not lavishly entertaining his many friends and political allies. Rikyu was the most famous tea master of his time. His tea ceremony is said to have had great spiritual depth. It was he who had done away with the elaborate and costly tea bowls from China and Korea and had created the simple, rustic style of pottery called raku. He had brought a sense of Zen simplicity to the tea ceremony, using simple bamboo utensils and cutting to the very essence of Tea Mind. At one point Hideyoshi had petitioned the emperor for permission to give Rikyu the title of koji, or “enlightened recluse” so that he might enter the Imperial Palace as Hideyoshi’s special tutor. Thus Rikyu had risen to a very high social position. Some said that it was indeed too high. Some said that the promotion had gone to Rikyu’s head and he had become arrogant. Sometimes Hideyoshi tested his tutor, giving him difficult tasks that were supposed to humble the great tea master. But Rikyu always managed to handle them with ease. Hideyoshi was torn between his respect for Rikyu as his teacher and unease with him for being too brilliant. One time Rikyu invited Hideyoshi to view his morning glories early one spring morning. Rikyu’s garden was famous throughout the capital for its profusion and beauty. His flowers were said to grow in such abundance that they reflected the sun. Hideyoshi had not been to Rikyu’s teahouse in some time and could not help but be a bit excited about seeing the famous garden. Even in all his years as a warrior, as drenched in blood as they were, Hideyoshi had always loved flowers. Sometimes, before a great battle, as he stood at the edge of a great field of flowers, soon to become crushed by thousands of bodies of men and horses and turned into a charnel ground, he had reflected on the transience and changeableness of life as symbolized by these flowers that stood so beautifully and tenderly under the sun. So it was with joy and pleasurable anticipation that Hideyoshi traveled to Rikyu’s home that morning. But imagine his surprise when, after passing through the outer gate of the garden, he discovered that Rikyu had cut each and every flower in the garden. There was nothing there but hundreds of severed stems. Hideyoshi looked around, trying to conceal his great disappointment. He could not imagine what had come over Rikyu, but he kept his samurai composure and greeted the old tea master with as much humbleness as he could muster. Then, after passing through the low entrance to the teahouse, Hideyoshi looked at the alcove to find just one morning glory, sitting in a simple bamboo vase. Ah, he thought, the old fox has outdone me once again! Then he settled back and allowed his mind to relax and become one with the flower. The frequency of the energy radiated from one’s now mind and spirit creates an attraction for the universal energies of the corresponding frequencies, which invariably echo back as the ingredients for one’s own daily experience. This principle is the basis for all Taoist spiritual practices. 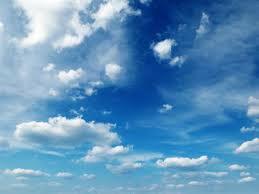 When inner light shines forth, outward appearances are forgotten. It is all too easy to forget what should not be forgotten and not to forget what should be forgotten. This is true forgetfulness! It’s been pretty cold for this time of year for this part of the country (Southern Willamette Valley, Oregon) . Minus 10 the other night, the coldest since 1972 (41 years!). 7 inches of snow, also very rare. Also very rare, it hasn’t gone away! Have been staying home, staying low, staying warm. Catching up on some work, reading a lot (highliting a lot), drinking lots of hot tea, looking forward to being able to go out on errands again. Last night I dreamed I couldn’t find where I parked my car. At one point I was driving around looking for my car until I realized I was IN my car looking for my car! Maybe this has something to do with our quest to “attain” or “melt into” Dao….working so hard, doing so many practices, studying so many holy books….until we suddenly look up one day, one moment, one year, one lifetime, and realize we have already “attained Dao,” that we really never left it. Dao is eternal and nameless. no one under heaven can control it. all beings would naturally obey them. causing the sweet dew to fall upon all. would come into harmony naturally. that we need to know when to stop. is like a river flowing into the sea. I love this image of Dao likened to a river flowing into the sea. Or maybe we are that river, made up of many small streams and tiny gushes of water, all flowing down, coming together and merging with the great open sea, the sea of Dao. Stay close to your center…..stay clear….stay warm. 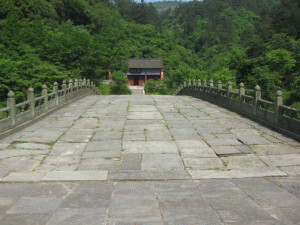 Lu Yu was famous all over the capital as the Master of the Way of Tea. He had been working on his masterpiece, his treatise about tea, for some time and was almost finished. In it he listed all the most important aspects of the Way of Tea— from describing the different sorts of tea, what utensils to use and how to prepare it —even what type of water to use. He had been working very hard lately and when his friends had come by this morning, inviting him on a picnic in the country, he had put his brushes and paper away with a sigh and joined them happily. They had hiked up into the mountains on the outskirts of the city, reciting poetry to each other at the top of their voices and Lu Yu had laughed as he had not for some time. They stopped half way up the mountain and sat and had their meal, a simple affair, with a bit of wine. Lu Yu had not even brought his tea things with him, so relieved was he to have a break from his work. His friends had decided to take a nap after lunch and so Lu Yu, thrilled to be away from the confines of his studio, decided to hike a bit more by himself. He had gone on a ways, sniffing the pure air and reveling in the soft breezes of the countryside, when he noticed a small path off to the side of the main trial. It was very faint and he would not have seen it if he had not stopped to relieve himself nearby. He decided to follow it and see where it went. After about a half an hour of walking, and when he had almost decided to give up and rejoin his friends, he came upon a dilapidated hut. Actually it was not so much of a hut as a pile of raw lumber laid haphazardly together, its grass roof bald in places, so that surely the rain found its way through. Yet, strangely enough, there seemed to be such an air of peacefulness about it that Lu Yu decided to take a peek inside before setting off again. To his great surprise there was a man sitting in the strange hut, and at first glance he seemed as strange as the hut itself. His hair was long and uncombed, as was his long bushy beard. It looked so bushy that Lu Yu was half expecting a nest of birds to peep out at him. He must be some kind of recluse, thought Yu Lu to himself, although he did not wear his hair in a topknot as did the Daoists, nor was it shaved as with the Buddhists. At the mention of tea, Lu Yu stopped himself. Perhaps it would be interesting to have tea with this rustic. It may be that the experience would provide some material for his book. If nothing else, it would make for an amusing story to his city friends when he rejoined them. So he bowed again and introduced himself. “I am Lu Yu and I would very much like to have a bowl of tea with you,” he said. “Aha,” said the man, “I would introduce myself by my good name but I am afraid that I have been too long in the mountains and have forgotten it! You may address me as Master of Simplicity, though I hardly deserve the name. I am afraid that this old gourd head of mine,” and here he gave his head a resounding knock, “is too full of jumbled thoughts and ideas that swirl all around in it like a tide pool to be addressed as anything really but Master of Complications!” And here he gave such a deep laugh, straight from his belly, that Lu Yu could not help but join in. “I’m sure it is not as bad as you say,” he said. But the man laughed again and said, “Oh but it is and even worse! But I do like to drink tea in the afternoon and would be honored if you would join me in my humble abode and share a bowl of rather inferior tea with me.” Then he laughed again and Lu Yu could not help but join him. The Master of Simplicity then turned to the fire, which was blazing merrily along under a pot of water. He invited Lu Yu to sit in the place of honor and plopped himself down beside him. Here Lu Yu’s ears picked up. He had just finished a section of his book on the best kind of water to be used for tea. He had listed all the best types of water as well as the types not to be used. He had said that water from freely flowing mountains streams was best and so was excited to learn that this is what was bubbling away in front of him. The Master of Simplicity took the water off the fire and laid it aside. “It needs to cool down just a bit right now,” he said to Lu Yu. “It has danced enough and now needs to rest before it can begin its work on the tea leaves.” So saying, he got up and left the hut and went outside where he grabbed a handful of long grass and tied his great bushy hair back. He even combed his fingers through his beard a bit; all the while smiling at Lu Yu in such a sweet way that Lu Yu felt his heart warm towards this strange fellow. In a moment the man came back into the hut and sat himself back down and smiled such a warm and friendly smile that Lu Yu felt himself smiling right back. Even if the tea is bad, he thought to himself, I am having such an enjoyable time with this strange fellow that it will be worth gagging down whatever outlandish brew he serves me. The Master of Simplicity reached over behind himself and pulled out a simple bamboo container and popped off the lid. “This tea,” he said, “is not very good but it does come from a very old tea tree. I had to climb quite a ways up it to get the leaves from the very top. I almost fell off right onto my thick gourd head,” he said laughing. 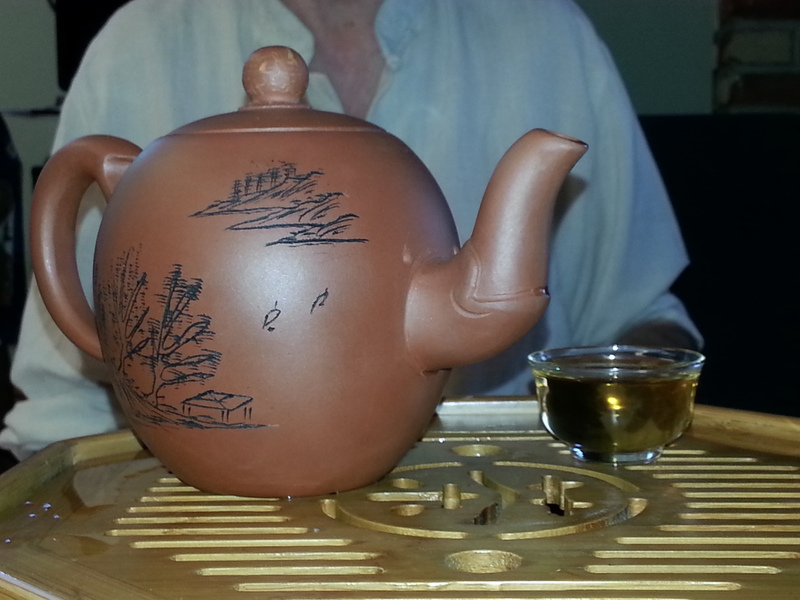 He handed the container of tea to Lu Yu, who, upon smelling it, was surprised at its fragrance. “Perhaps this tea will not be so bad,” he thought. The man was looking at Lu Yu in a funny yet friendly way and Lu Yu thought he heard him mutter something to himself as he carefully shook out a small amount of leaves into his hand. He then raised his hand and held the leaves out in front of him. He muttered something again, very low yet very musical. “I am thanking the god of tea,” he said to Lu Yu, “for showing me the way to the ancient tea tree and for allowing me to gather these leaves and for helping me not to fall on my head!” This time Lu Yu burst into laughter even before the Master of Simplicity did. His name, thought Lu Yu to himself, sounds like that of a Daoist recluse. Perhaps he is one of those rare Daoist hermits who have shaken the dust of the world off his shoes and gone to live a life of “free and easy wandering”. Though most of the Daoists that Lu Yu had met in the capital had been much more serious and even austere. I suppose it could be, thought Lu Yu, that he is just an eccentric who prefers spending his time in the mountains to living in the crowded city below. The Master of Simplicity shook out a small handful of the tea leaves and placed them into a small clay pot that stood by the side of the fire. “Now,” he said, turning to Lu Yu, “we have to perform the marriage of tea leaves and water.” He then lifted the pot of hot water, no longer dancing, and poured it very slowly into the pot with the leaves. Lu Yu had never heard anyone talk about tea in this way. The tea aficionados that he spent time with were mostly very serious about their tea drinking. True, sometimes they composed poetry and once in a great while someone told a joke but mostly everyone took the tea ceremony very seriously. They were all so involved with being at one with the tea that they sometimes lost track of why they were actually there, to enjoy drinking tea! As Lu Yu watched this funny tea master crooning to the pot of tea, he remembered the excitement with which he had first greeted the Way of Tea. As a boy he had been left on a riverbank where he had been found by Chin Chan, the abbot of the local Chan Buddhist temple. Though he had been raised there, he often found the Buddhist rites practiced to be tedious and uninteresting. But his adoptive father had introduced him to the Way of Tea and that was something that he would always be grateful for. He remembered how, at a certain time of day, his adopted father would invite him to sit with him in front of a scroll painting of a gentle landscape or of the Goddess of Mercy, Kuan Yin, and together they would share a bowl of tea. Chin Chan’s tea ceremony was very simple. He would just heat water in one pot, take up the brick of dried tea leaves that sat on a shelf in a place of honor and drop tea leaves into to boil for just a few moments. Those memories of his time with his adopted father, drinking tea and talking of this and that, was what Lu Yu carried with him when he fled the temple at an early age to join the traveling players he had met one day in town. Now he was the most famous tea master in the Middle Kingdom. It was the days of the “glorious Tang dynasty” and art and culture in China was reaching new heights. And now Lu Yu was working on the definitive treatise on the Way of Tea. Many tea masters were eagerly awaiting this work and Lu Yu was sure that his name would go down in history as the tea master of tea masters (as well it did). But now, sitting here in this rustic hut with this rustic fellow and about to drink some local tea made him more excited and happy than he had been for some time. 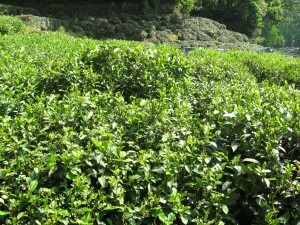 “This tea that we are about to drink,” said the Master of Simplicity, “comes about through the marriage of not only the boiling water and the tea leaves but actually through the union of Heaven—which bestows the rain and sunlight on the tea tree and that of the Earth— which gives of itself so that the tea tree may grow tall and strong. It is in this way that this simple bowl of tea represents all of Heaven and all of Earth. “Actually,” said the Master of Simplicity, “that is rather a lot for one simple bowl of tea to have to carry.” And here he laughed his jolly belly laugh again. The Master of Simplicity had put the clay pot over the coals of the fire and allowed it to come to a very gentle boil. Lu Yu noticed that he had not added anything else to the brew. Lu Yu’s friends in the city were used to adding all sorts of things to their tea—such things as ginger, orange peel or even small onions. Also, Lu Yu was used to drinking his tea from exquisite porcelain bowls. He had friends in the capital who even drank from vessels made from gold and silver, though Lu Yu disliked using anything metal when brewing and drinking tea. But here was his new friend, pouring out the tea into several very wobbly wooden bowls. Next he raised the bowl to his lips and took a small sip, careful both because it was very hot and also so that he could properly appreciate its flavor. Amazingly, it was wonderful! He tried another sip and then another. It was simply some of the best tea that he had ever tasted. Because of his educated and experienced palate he could taste the purity of the water that had been used to brew it. It had a slight mineral flavor but that was good. It was part of what gave the tea its health enhancing qualities. The taste was both rich and light. And the taste of the wooden lip of the bowl also seemed to give it an earthy flavor. He looked around himself, both at his strange yet gracious host, who was lost in is own moment of tea and at his surroundings. He had never, in his life, been in such a dilapidated and rustic building before. Yet he felt strangely comfortable there, sitting on an old straw mat by this small fire with his newfound tea friend. Lu Yu felt himself smiling and he noticed that Master of Simplicity was smiling into his bowl of tea. “This tea,” he said slowly, “reminds me of my home, far away from here. To me it tastes of the sun, the wind, and the earth. It tastes of rain, of dew and of the rock that ran beneath the water. It reminds me of my past yet seems to lure me gently into my future.” And here he sighed deeply and looked over at Lu Yu. “Truly,” he said, “this little bowl of tea has so much to say to me that I could spend all afternoon listening to it.” Then he looked up and laughed, “But what I think I will do is drink it,” and here he lifted his bowl to his lips and drank the last of the tea in it. The Master of Simplicity then got up and bowed deeply to Lu Yu. “I too thank you,” he said, “for sharing with me this simple brew. Perhaps we will meet again one day and can enjoy this wonderful marriage of Heaven and Earth again.” And here he laughed and began gathering his few tea things and putting them into a frayed basket. 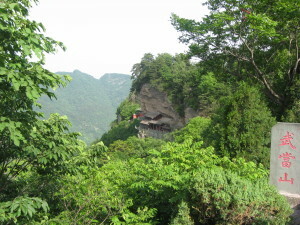 Later on Lu Yu could not remember leaving the hut or walking back down the faint trail back to his friends. They were indeed worried about him and when he told them of his meeting with the Master of Simplicity and of the wonderful tea he had drunk with him they wanted to run up the trail to meet this strange tea master but Lu Yu assured them that the Master of Simplicity would be long gone by now. And so they made their way back to the city. Some time after that Lu Yu finished his treatise on tea, his Cha Ching. In it he listed all the tools for the proper brewing and enjoyment of tea, including a long list of equipment needed to brew tea, including the brazier, the stoker, the fire tongs, the basket, the rollers, the measure, the water ladle, the water filter, the water dispenser, among many other things. 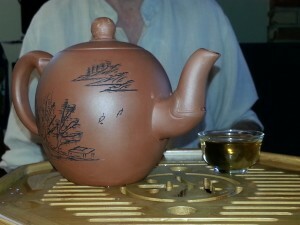 He listed the types of water to be used and the various elements of tea brewing itself. He then went on to say that if using firewood then many of the other utensils may be eliminated. And if one finds a clear running brook, or one is climbing up a steep cliff, even more may be dispensed with. Smaller and smaller goes the list until only the bare essentials are listed. Some of his friends could not help but remark upon Lu Yu’s afternoon with the Master of Simplicity and wondering if perhaps something of his experience there could not help but influence this urbane man of cultivation to the simple rustic pleasures of a simple bowl of tea in the bosom of nature.